The illustrated Boker Knife is the Limited Smooth Yellow Bone Boker Trapper Knife that features clip and spey blades made of Solingen carbon steel. The Smooth Yellow Bone handle of this Boker Knife, 4 1/4" closed, has brass liners, Tree shield inlay and nickel silver bolsters. 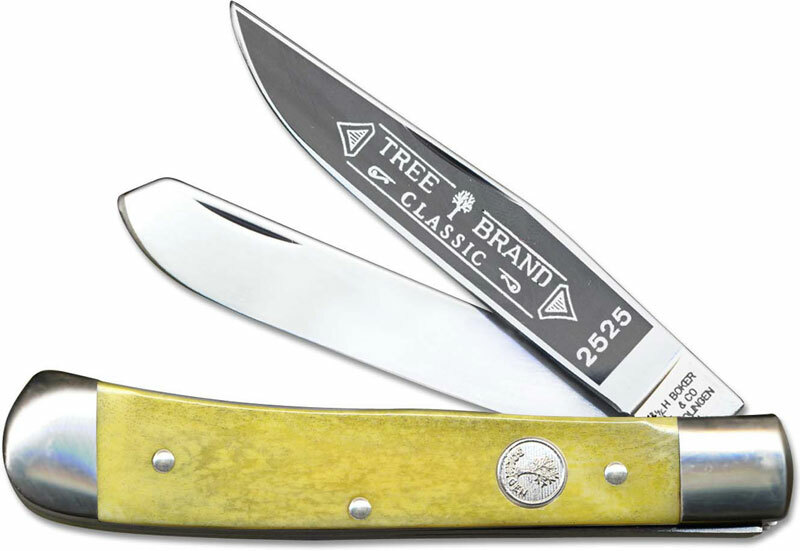 The Boker Trapper Knife with Smooth Yellow Bone handle is available in limited quantities. Made in Germany. Been carrying a boker trapper for more than 40 years now. Best pocket knife you can carry it's a tool that never lets you down.